Pandora Vehicle Sdn. Bhd. produces two models of bicycles: model A and model B. - Model A requires 2 hours of assembly time. - Model B requires 3 hours of assembly time. How many of each model can be made in a day? - Model A requires parts which cost RM25. - Model B requires parts which cost RM30. 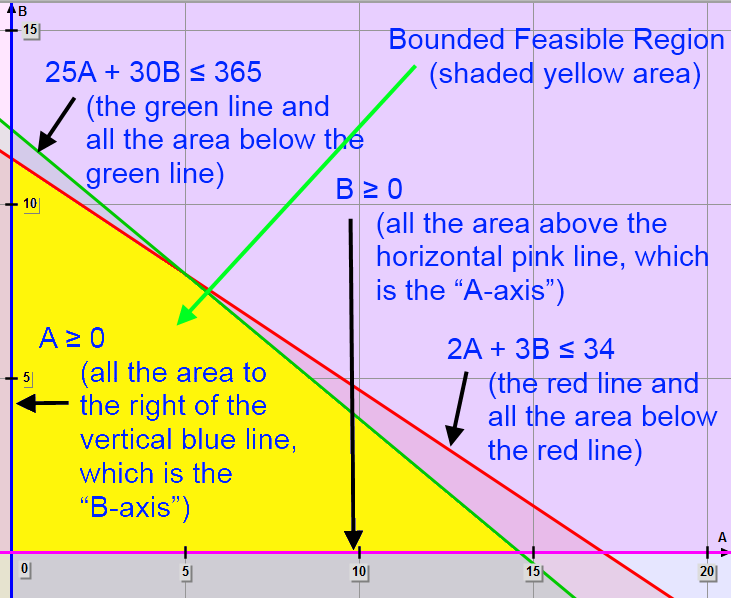 • The corner points of the bounded feasible region (shown as the yellow shaded area) define a maximum value and a minimum value for the objective function (T = A + B). 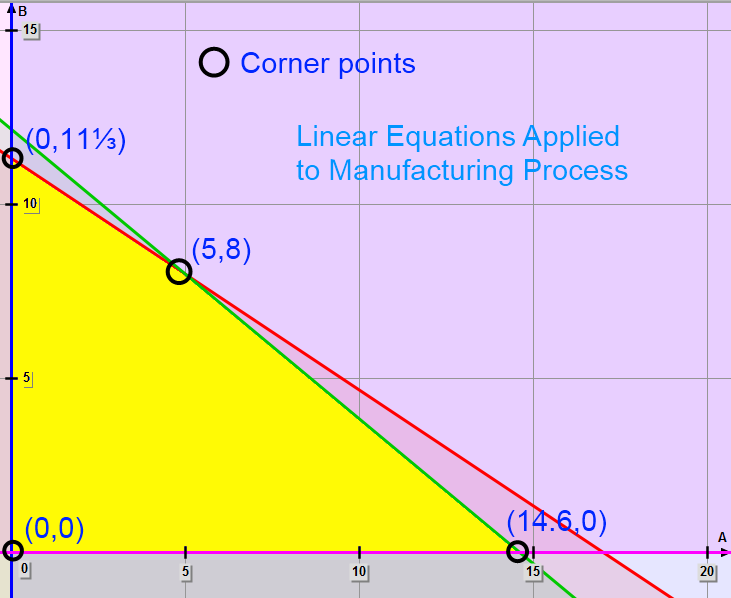 • Find the maximum value of T by computing the values of T at the corner points.